Most Americans will take a cruise at some point in their lives. The destination will determine travel requirements. Before you book a cruise, do your homework. Find out the specifications for the cruise. Like, what documents are necessary for entering the destination country or reentering the U.S. Also, if a visa necessary. Most of this information you will get from the cruise. The best advice is to get a passport even if one is not essential. As a U.S. citizen who will travel on a cruise, it is best to have proof of citizenship when returning home. You can have a passport book or a passport card. For minors, a birth certificate will do. If your trip is a closed loop cruise, it starts and ends at the same port; you can use a government-issued ID card. However, if your trip will stop at a port other than the one you started your journey, it is best to use a passport book. Make sure your passport has enough validity before you go on your trip. Enough validity is six months or more. Some countries require your passport has enough time for your stay. Also, to reenter the U.S. your passport must be valid. If your passport has less than six months validity, you should apply for a renewal. A renewal can take 4-6 weeks with routine processing or 2-3 weeks for expedited. An expeditor or a regional agency can get you a passport within 24 hours if your trip is sooner than two weeks. Some countries will require a visa for entry. Since you are going on a cruise and most cruises stop in for a day, a visa may not be necessary. If you book an excursion that is not included in the cruise, you may need to get a visa. If the trip is part of the cruise, then a visa may be waved. Some countries also issue visas to cruise ships; therefore when this is the case, you don’t need to apply for one. Know the travel requirements before you plan a trip. Make sure you have all the necessary documents that will allow you to enter the country on your cruise route. Also, a valid passport to reenter the U.S. If you will use a passport card, it must have enough validity similar to a passport. Once you meet all the travel requirements, you will not have any hiccups that will ruin your cruise trip. There are many countries you should visit while you are still breathing. This article will provide information on the most popular top 10 destinations to travel in the world. Plenty others did not make our list. Nevertheless, they are worth visiting at some point if possible. Some of the countries on this list have many sites which are considered unique and historical. Also, they display their cultures and fascinations regularly. So, let us dream of traveling to each until we can make it a reality. China is the second largest country in Asia right after Russia. It is the most populous nation and borders 14 countries. China has a vast history that goes all the way back to the ruling of many dynasties. So, there are many historical sites to visit like the Great Wall. 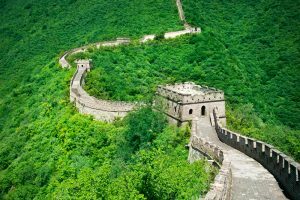 If you want to visit major cities like Beijing or Guangzhou, be ready for a fantastic time. China has fantastic coastlines that offer amazing views and luxurious hotels. During the holidays is another time to visit China. India, like China, is another country in Asia. It is the third largest in Asia and has over 1.3 billion people. India is another nation with so much history. 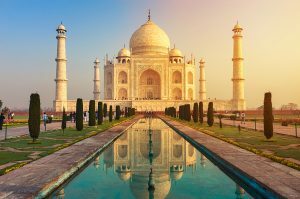 For the tourist, there are many places to visit in India. The Taj Mahal, for example, is a typical tourist attraction. This building is one of the most recognizable structures in the world. If you wish to visit the holy city of Varanasi, it is the principal city for Hindus or the Golden Temple of Amritsar which is essential to the Sikhs. Other historic sites are Mecca Masjid, Amer Fort, and the Agra Fort. If you want some tranquility, go to the beaches of Goa. Nigeria is similar to the other African countries with many national parks. However, it is the most populous nation of all the African countries. 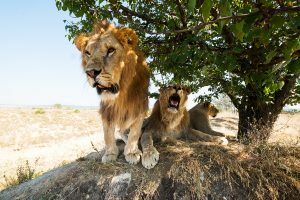 If your next trip is to Nigeria, you should visit the Millennium Park, the Cross River International Park, the Okomu National Park, or the Yankari Game Reserve, just to name a few. Apart from the parks and reservations, Nigeria also has beaches like the Tarkwa Bay and Eleko. In the capital, you can also go to the more popular beaches like Elegushi Beach, Bar Beach, or Alpha Beach. These beaches are more crowded when compared to the others. Russia is known for cold days, but it also has some beautiful summer days. When you are in Russia, there are some famous and historic places to see. 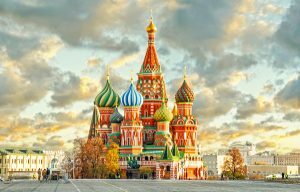 For example, Saint Basil’s Cathedral is known for its one of a kind architecture design. If you are in Moscow, the Kremlin is a must see. This infamous building houses the top governmental offices, four cathedrals, several museums, the armory, and the Diamond Fund Exhibition. The Diamond Fund Exhibition has a collection of jewelry that includes a 190-carat diamond given to Catherine the Great. 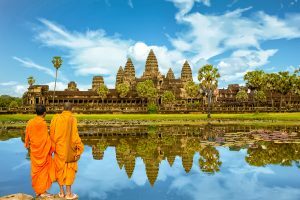 Cambodia is a religious country, and it shows the number of temples constructed across the country. The most visited temple is the Angkor Wat built in the 12th century by King Suryavarman II. Other temples that tourist flock to are Bayon Temple, Banteay Srei, and Koh Ker. The Silver Pagoda is another attraction that is located inside the Royal Palace. The Silver Pagoda houses many national treasures such as gold and jeweled Buddha statues. Apart from the temples, Cambodia also has white sandy beaches like Sihanoukville. At Sihanoukville, you can sit, relax, and enjoy the view. Saudi Arabia has the largest mosque in the world, the Masjid Al Haram. The mosque is also known as the House of God. It is a sacred place for Muslims who comes from all around the world for pilgrimage. Another mosque to visit is the Al Masjid Al Nabawi in Medina. The Royal Saudi Air Force Museum in Riyadh has on display historical facts and figures about Saudi air forces. 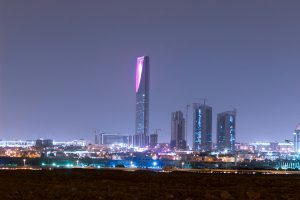 If you want to see the tallest building in the world, you can visit the Kingdom Tower which stands 3280 feet tall. Another historical place to visit is the Rock Carving Site. At the site, you will see carvings done by Saudis in the earlier times. Indonesia is one of the chain islands in South Asia. This country has beautiful beaches in Bali or if you want to go to the Gili Islands to snorkel at the turtle sanctuary. You can visit the Orangutans of Borneo at the Tanjung Putting National Park or the Komodo at the Komodo National Park. Indonesia sits on the Ring of Fire; this is an area with some of the most active volcanoes in the world. 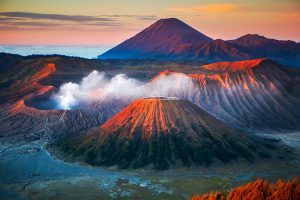 So, if you want some adventure, Mount Bromo is the place to go. Another famous volcano in Indonesia is the Mount Krakatau which has the world largest eruption recorded in history. If you wish to go to a lesser known island than Bali, the Banda Islands are ideal. It is a cluster of 10 islands that sits at the edge of the Banda Sea. Kenya is an African nation with many national animal reserves. There, you will see many of the wild animals roaming in their protected reservations. If you wish to take a tour in one of the reserves, you can choose from many. 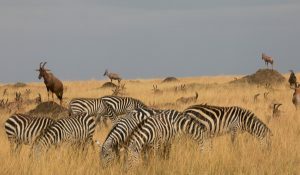 However, the best site seeing reservations are Maasai Mara National Reserve, Amboseli National Reserve, and Samburu, Buffalo Springs, and Shaba National Reserves. Also, you have Tsavo National Park and Lake Nakuru National Park where you can see a large flock of pink flamingos. You can also visit the historic Lamu Island which still displays Kenya’s history dating back to the 12th century. The capital, Nairobi, also has its history on display by its colorful colonial buildings. Vietnam, like Indonesia, is in South Asia. 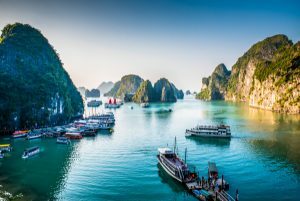 Vietnam has an astonishing mix of cultural diversity and natural highlights. Halong Bay is one of the most amazing sites, especially by boat. These islands have plenty of caves that attracts tourist daily. For example, the Phong Nha-Ke Bang cave displays magnificent stalactite and stalagmite. Another fascinating experience is to go through the Cu Chi Tunnels which were used during the war and stretched for more than 250 kilometers. If you want to go to the beach, this beach is about 6 kilometers long and is popular among the natives and especially tourist. Nha Trang is known for designated swimming areas, manicured lounging areas, and a white sandy beach. If you prefer the city, then Ho Chi Minh or Hanoi will give you a taste of the bustling streets and vendors. Tanzania is home to some famous places like the Serengeti National Park where you can see the famous annual wildlife migration. 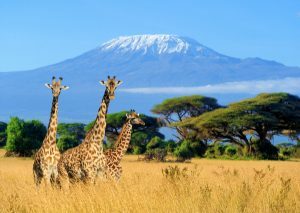 Another is Mount Kilimanjaro which is renowned for mountaineers and trekkers from around the world. You will find many national parks and reserves for wild animals. Tanzania also has the Pemba Islands which attracts divers to the corals and marine life. Another is the Mafia Islands which also attract tourists who want to relax on the white beach or snorkel. So, to visit any of these countries, you will need a visa and a valid passport. To get either, you can contact https://nationalpassportservice.com for expedited service. You can get a U.S. passport in as little as a day or any time up to two weeks. Similarly, we will expedite your visa application so you can have it well before your travel date.